News reports hastened to describe Tuesday’s atrocity in Lower Manhattan as “the worst terror attack in New York since September 11, 2001”. The comparison may be numerically accurate. Moreover, the deaths caused by the attack are nothing short of tragic. But if the Islamic State’s deadliest response to its retreat in the Middle East is a clumsy truck driver armed with a pellet gun, then Americans have little to fear from the terrorist group. For months now, Western counter-terrorism experts have been bracing for a change of tactics by the Sunni group, which in 2014 controlled territory in Iraq and Syria equal to the size of England. The prevailing theory in security circles is that, as the Islamic State is forced to retreat in the Middle East, it will unleash waves of sleeper cells against Western targets abroad. This concern is logical, given the militant group’s obsession with its public image. At every turn since its dramatic rise in 2013, the Islamic State has consciously tried to project an appearance of strength that is far greater than its actual capabilities. In its public statements, the group has consistently extolled its ability to strike at distant targets regardless of its territorial strength in the Middle East. This applies especially to attacks by the Islamic State in Europe, which have tended to come in response to intense media speculation that the group’s territorial hold may be weakening. One presumes that a terrorist attack in New York, a symbolic site in the ‘war on terrorism’, would aim to do just that: namely project an image of continuing strength and convince global audiences that the group remains potent. Yet, despite the tragic loss of eight lives, Tuesday’s attack in Manhattan did nothing of the sort. To begin with, an attack on cyclists with a rented utility vehicle is hardly ground-breaking at this point. In the past 18 months, we have seen similar types of attacks in London (on two separate occasions), in Barcelona’s Las Ramblas mall, in downtown Berlin, and in Nice, where a 19-ton cargo truck was used to kill 86 people. Terrorist groups are by nature conservative in their operations, preferring to use low-tech, time-tested methods to dispense violence, rather than risk failure by breaking new ground. But at a time like this, when the very existence of the Islamic State hangs in the balance, one would think that the group would consciously try to intimidate its opponents by showing off some kind of revolutionary new weapon. That did not happen on Tuesday. Additionally, the perpetrator of the attack, Uzbek immigrant Sayfullo Saipov, is hardly an inspiring figure for Islamic State supporters. After running over a group of unsuspecting cyclists, the 29-year-old Florida resident clumsily smashed his rented truck head-on into a vehicle that was far larger and heavier than his own, thus completely destroying his vehicle’s engine and effectively disabling his only weapon. He then jumped out of the truck, apparently wielding a pellet gun and a paintball gun. Mobile phone footage captured from a nearby building shows Saipov walking in a disoriented manner through Manhattan traffic before being shot by police officers. If —as it seems— the Islamic State was behind that attack, it would mean that modern history’s most formidable terrorist group failed to get a pistol in a country where firearms are in some cases easier to secure than nasal decongestant. Choice of weapon aside, one does not need to be a counter-terrorism expert to conclude that Saipov lacked basic operational and planning skills. His attack behavior shows that he had failed to carry out even rudimentary prior reconnaissance of the area where he launched his attack. He even appears to have failed to read Tuesday’s New York Post. Had he done so, he would have known that the heavily attended annual Village Halloween Parade was scheduled to take place on the very same street, just two hours after he launched his deranged attack. Once again, the question is: if the Islamic State does not utilize its deadliest and most capable operatives now, when its very existence in its Middle Eastern stronghold is being directly challenged, then when will it do so? By all accounts, the militant group’s leaders are well-read on recent history. They are therefore fully aware that, in the post-9/11 age, clumsy, low-tech, limited terrorist strikes by lone-wolf operatives lack the capacity to intimidate civilian populations, especially in New York. Western counter-terrorism agencies and citizens alike should remain vigilant; but early evidence shows that the Islamic State is simply too weak to launch sophisticated, large-scale strikes against Western targets abroad. As I have argued before, the threat level would change if the militant group acquires chemical weapons or other tools of mass terrorism. For now, however, it is safe to state that the Islamic State’s capabilities do not pose anything close to an existential threat to the West. ► About the author: Dr. Joseph Fitsanakis is Associate Professor in the Intelligence and National Security Studies program at Coastal Carolina University. Before joining Coastal, Dr. Fitsanakis built the Security and Intelligence Studies program at King University, where he also directed the King Institute for Security and Intelligence Studies. 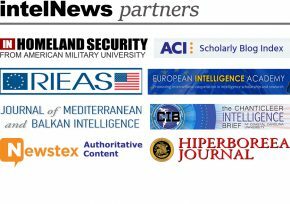 He is also deputy director of the European Intelligence Academy and senior editor at intelNews.org. Good morning Sir, from Athens GR. While i totally agree with your analysis, we really have to consider the possibility of a veteran jihadist doing the same with a real gun and a plot to conclude his attack with a full out assault against anyone near by.. Especially since his route ended up into a school bus. DAESH may be on the downside but there are a lot of followers and radicalized ones with more training. This is a high risk scenario and should trigger further review by authorities on the ability to mitigate/predict such an incident again, as most of the times such attacks might inspire or/and educate further future attacks by others who might be more ready and more well trained by this attacker. The ideology has not weakened – ISIS is just another terrorist group acronym. Once the Islamic State fails IS members will disburse, go into Hudna, and wait for another day to rise again and continue their work building another IS Caliphate under a different name. The IS fighters however, will join other terrorist groups with different acronyms continuing their Jihad. We will still see the Jihadi EMagazines coming out fueling the Islamic ideology and role of Jihad for the followers of Islam to follow just as Mohammed lived his live 1400 years ago.